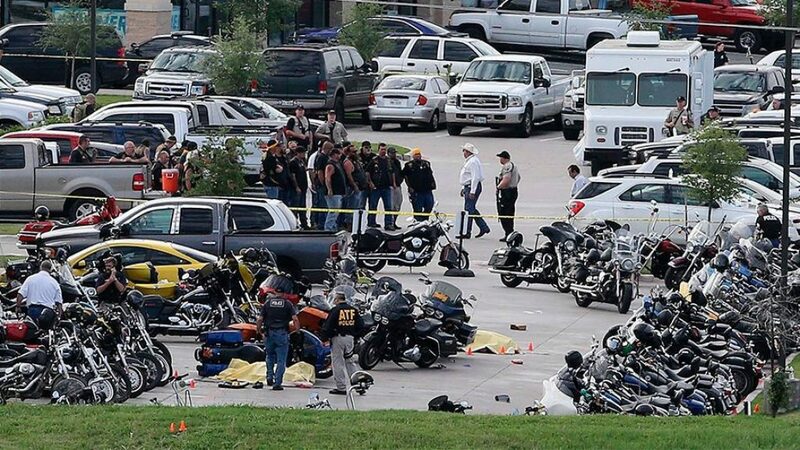 Prosecutors say no one will be punished for the 2015 shootout between rival biker gangs at the Twin Peaks restaurant in Waco that left nine people dead and at least 20 injured. McLennan County DA Barry Johnson said in a statement Tuesday that any further effort to prosecute would be a waste of time, effort and resources. Law enforcement officials arrested 177 bikers in the May 2015 incident and charged 155 with engaging in organized criminal activity.